Is It Good? 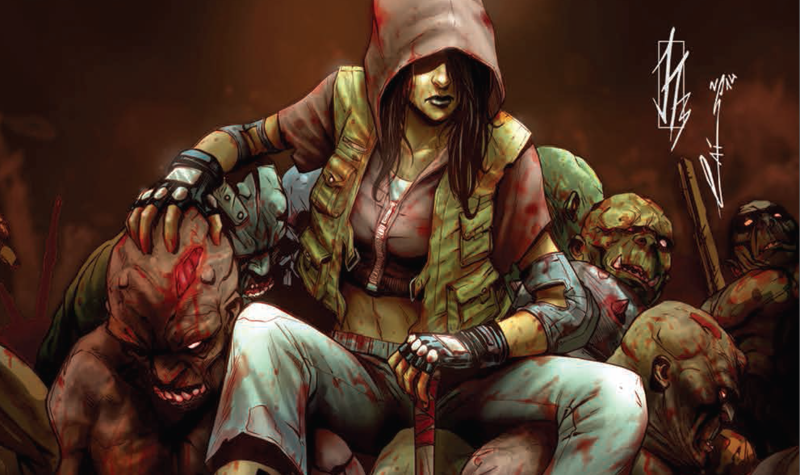 Hack/Slash: Son of Samhain #5 Review – AiPT! The end is here for the Son of Samhain which featured an underground monster army who worshipped a monster god, a kid hero and plenty of pontification on good and evil and it will be missed. So how does it end? Is it good? This is the first issue of the series that does not open with some history on our monster friends who live below the Earth’s crust and I’m a bit sad about that, but I guess writer Michael Moreci has said all he needs to say about them at this juncture. Hack lost a teammate last issue as he sacrificed himself to take out a heavy from the monster army, but now she’s on her own with just a kid. There’s no time like the present though, because the army is readying to go to the surface and take out the humans. Certainly the odds are too great allow Hack any chance of winning!? You’re probably right, so Moreci turns this issue into an Indiana Jones caper with the heroes taking the fight to the monsters the best they can. Unfortunately the script calls on a inside man who helps Hack, and one who we haven’t seen or know very well. This reads like a deus ex machina mechanism to get this thing wrapped up as quickly as possible. It’s unfortunate considering how good the series has been, but even though it’s a bit rushed a climax is what we get. Once again there’s a lot of action to diguest, lots of gore and fun explosions to be had. I really dig the art by Emilio Laiso and he’s a master at some of these gore shots. The guy is also spectacular at drawing battle scenes with a ton of characters on the page. Nothing looks rushed or shoddy and it’s clear who is doing what to whom when it comes to every character in the chaos. I also like his layouts, that jump around and do different things to show motion. There’s one set of rhombus panels that really help sell the swiftness of the kid as he cuts up an ogre. He can kill and maim but can’t swear…mmkkayyy. A fine way to end things but doesn’t live up to the previous issues as it lacks in surprises and dialogue that chews up the scenery. Still a good read though.